If you need care and support at home you want to be able to trust your chosen care agency. You want your care service at the right time using support workers you are comfortable with. 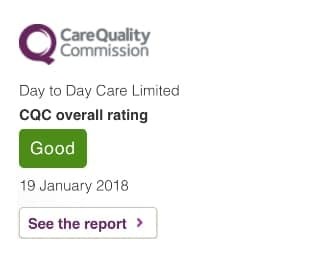 We have built our reputation as one of London’s top home care agencies by providing exactly this. Established in 2003, we are an award-winning, privately owned, quality home care agency. 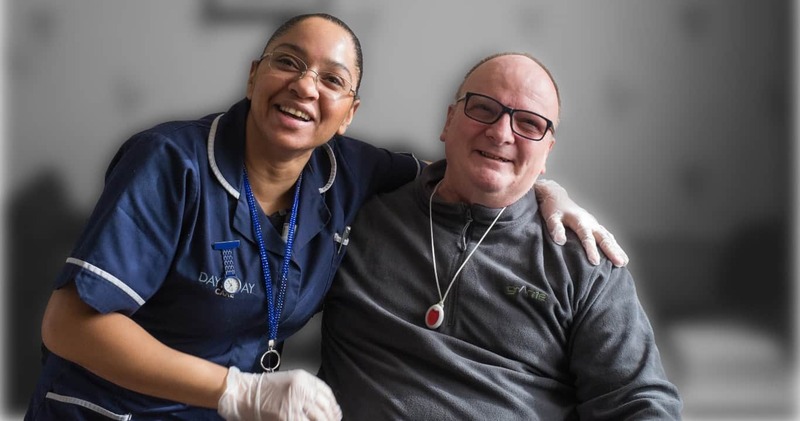 We provide high-quality domiciliary care services throughout Beckenham, Bromley and Orpington. 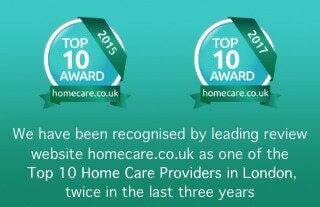 In 2015, and again in 2017, leading review website homecare.co.uk named us as one of London’s top 10 home care agencies. You can read our latest reviews on our home care reviews page. Our professional care management team knows how to deliver good domiciliary care. Drawing on many years of health and social care experience we will help you to plan your care package to make sure you get the exact care you need. From the moment you contact us you will know you’re in safe hands. We can usually arrange to meet with you in your home within twenty-four hours to carry out a full assessment of your care needs. This assessment is free and will enable us to draft your initial care plan. Your care service can start almost immediately. It’s not unusual for new clients to contact us amidst a crisis looking for some urgent help. We already have care assistants in teams delivering care throughout your area. All have been chosen to work for us because of their natural compassion and dependability. Your care team will also include your Care Supervisor who is available for you to contact at any time. She will ensure that your care plan is up to date and reflects any changes in your care needs. Your support workers use mobile technology. This enables them to keep abreast of your current care requirements, health needs and personal preferences. We encourage your input in day to day decisions about your care because it’s important that you have as much choice and keep as much control as possible. The decisions you make regarding your care plan are communicated back to the care management team to action before your next visit. Your care management team will also check to make sure all the required tasks in the care plan have been completed, and to the required standard. Your loved ones can also access this information remotely on their own smart device so they can monitor the service you receive. Your support workers are vetted to make sure they are suitable for the home care worker role. They are fully trained to ensure they have the knowledge and skills required to deliver your care and support to a very high standard. They will wear the appropriate protective equipment to deliver your service safely. We know that continuity is a key requirement of good care. You will have a regular care assistant who understands your individual requirements. A familiar face, who is also able to observe any changes in your condition that may warrant further attention. Your regular carer will visit you at the agreed time. If your carer is delayed by more than fifteen minutes we will contact you and let you know. Similarly, if your regular carer is absent for any reason we will arrange a replacement and let you know. Ideally this will be someone with whom you are already familiar. As part of our quality assurance processes we check the performance of your support staff on a regular basis. We also seek your input on the quality of your service, especially during the first few days. We always welcome your feedback at any time and we will use this to improve our service. We don’t charge you for cancelling any calls as long as you give 24 hours’ notice. Should you need to contact us for any reason you can do so on the same number both during and outside office hours. Unlike some home care providers we won’t ask you to commit to a minimum term contract. If you are not happy with your service you are free to cancel at any time. In fact, if you let us know within twenty-four hours of your initial visit we will not charge you. You or your designated bill payer will receive a weekly invoice from us. This can be received electronically by email or by regular post. You can settle your bill in a number of ways. Most people prefer to pay by bank transfer or direct debit but we can also accept payment by debit or credit card or cheque if you prefer. Whether you are in need of personal care, specialist dementia care, home from hospital support, respite care or just some home help or companionship we are able to provide you with a high quality in home care service as soon as you need it. Contact us today and discover, as so many others have, why we are Bromley’s most recommended Home Care agency.